Soldier Ride will make its way through the far east end of the South Fork Saturday. Soldier Ride returns to the Hamptons this weekend, beginning with a free screening of “Soldier Ride: The Movie” in the Amagansett Square Friday night at 7:30 p.m. There will be two soldier ride events on Saturday. The first begins at Ocean View Farm in Amagansett at 8:30 a.m. and the second begins at 10:30 a.m. in Sag Harbor. More information on Saturday’s events is online here. Hear five storytellers share tales of being out of their element: the freak, the foreigner, dressed for the opera at the clambake, the voice of dissent, the lonely foo. Outsider, interloper, odd man out. The black sheep, the juror with a doubt. 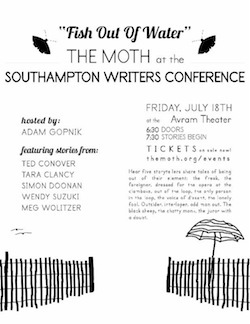 Hosted by Adam Gopnick and featuring stories from Ted Conover, Tara Clancy, Simon Doonan, Wendy Suzuki and Meg Wolitzer. In the Avram Theater at Stony Brook Southampton July 18 at 7:30 p.m.
Tickets are $50 and are available online here. The East End Classic Boat Society is hosting its annual Classic Boat Fair at the Community Boatbuilding Workshop at 301 Bluff Road in Amagansett, this Saturday July 19, from 10 a.m. to 4 p.m. There is no admission charge. Attendees will have a chance to view, purchase and enter a raffle to win a wooden boat. More information is online here. 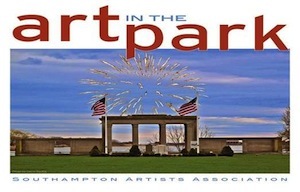 Fine artists and contemporary crafters from around the Hamptons make their way to Agawam Park on Pond Lane on July 19 and 20 to share their talents with visitors. More than 40 Exhibitors from all over Long Island will show their paintings, sculptures, photography, and mixed media in the Village of Southampton. On both days, the exhibits run from 11 a.m. to 6 p.m. More information is online here. A three-decade tradition of a midsummer Grucci fireworks show over Three Mile Harbor in East Hampton, where proceeds from the event benefit numerous local charities. The event is entirely funded by corporate sponsorship and public contributions. Three Mile Harbor, East Hampton. The display is best seen from the beaches of Maidstone Park, Sammy’s Beach, Gann Rd., Hands Creek Rd., and Three Mile Harbor. The South Fork Natural History Museum hosts its 25th annual summer gala Saturday night at the museum from 6:30 to 9:30 p.m. This year, they’ll be honoring environmentalist Michael Gerrard, conservationist Eric Goode and author and naturalist Peter Matthiessen, who died earlier this year. Tickets are available by calling 631.537.9735 or online at www.sofo.org. 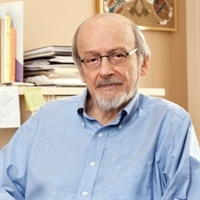 A bevy of writers are making the rounds of the Hamptons this weekend, with E.L. Doctorow slated to speak at the Hampton Library in Bridgehampton on Friday at 5 p.m., novelist Zachary Lazar slated to speak at Canio’s Books in Sag Harbor on Saturday at 5 p.m., author Jenny Offill talking at Amagansett Library at 6 p.m. Saturday, and writers Lisa Scottoline and Francesca Serritella are giving a talk at the Quogue Library on Sunday at 5 p.m.